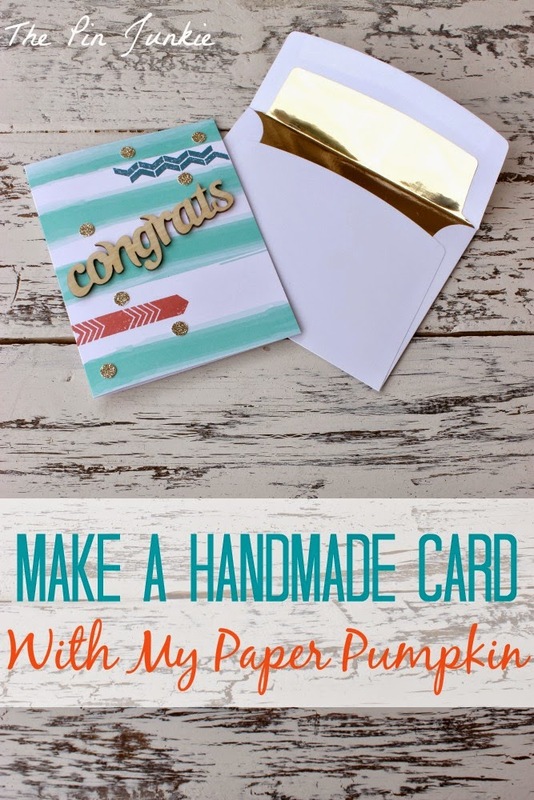 Make a Handmade Card with My Paper Pumpkin This post is brought to you by My Paper Pumpkin. Keep reading for your chance to win a My Paper Pumpkin kit! For special occasions, I like to give a unique, handmade card instead of giving a store bought one. But sometimes things get busy and I don't have time to make a special card. Other times, I just don't know what to make and looking on Pinterest for inspiration can quickly become overwhelming with so many ideas. My Paper Pumpkin can help. 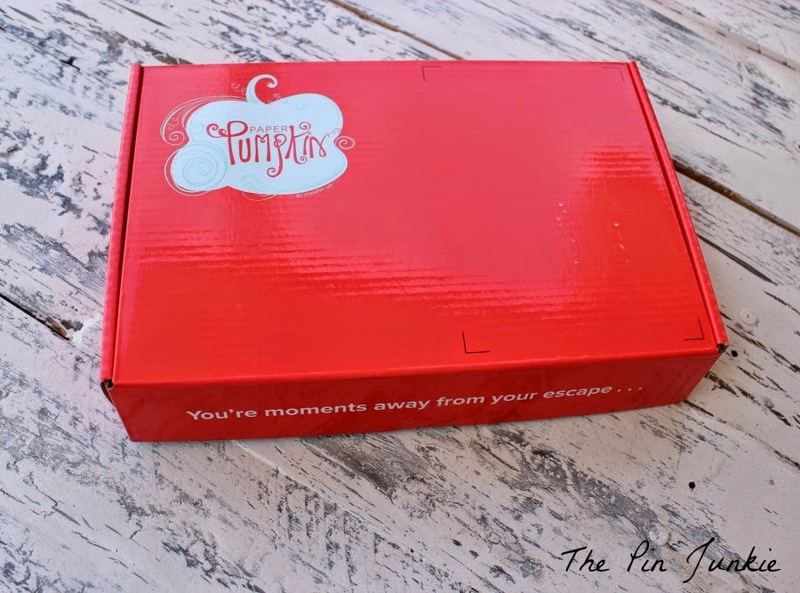 When you subscribe to My Paper Pumpkin, a fun red box like this comes to your house. No trips to the craft store and no opportunities to over buy or over spend! When you open the box, you feel like you're opening a present! Everything needed to make beautiful cards is included. 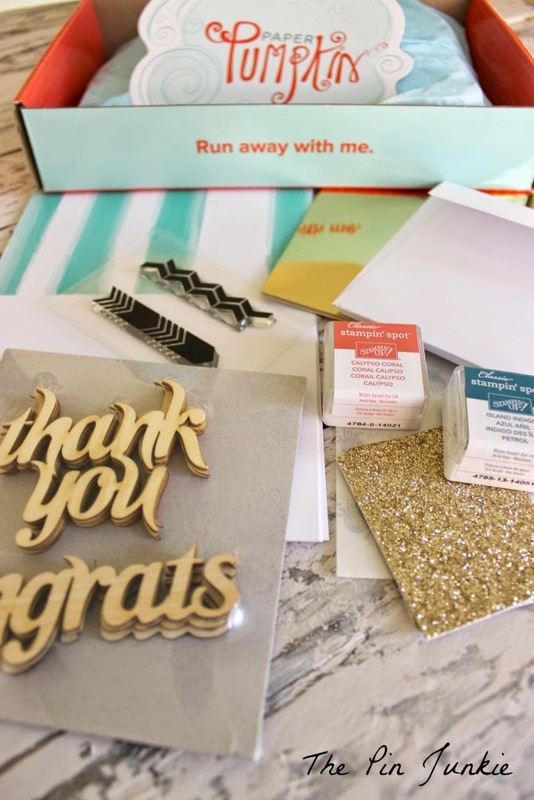 In my box, I received cards, envelopes, stamps, ink, wood cut-outs, stickers, and even glue dots! 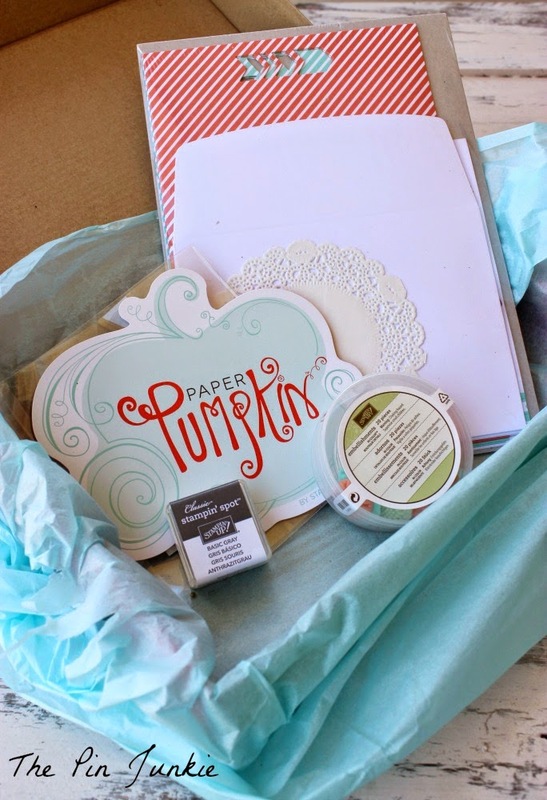 My Paper Pumpkin is part of Stampin' Up, so all the materials are Stampin' Up products. 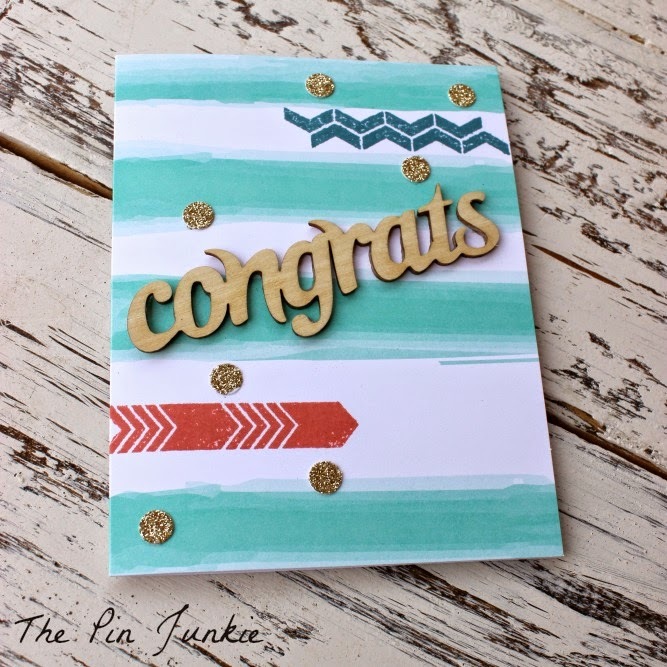 I have a collection of Stampin' Up stamps with wooden bases and this was my first time using the clear stamps. I discovered that I love using the clear stamps because it was so much easier to position the stamp exactly were I wanted it. I used the glue dots to add the wood letters. The glitter stickers were fun. Here's my finished card. It only took about 15 minutes to make! I like the way I was able to make a card that has a really different design from what I would normally make. Creating it was a breeze because everything I needed was already in the box. No searching around the house for materials and supplies. Cleaning up was easy since any left over materials went right back in the box. I had enough to make eight cards, so I can still make more cards later. I love that it only took 15 minutes to make. 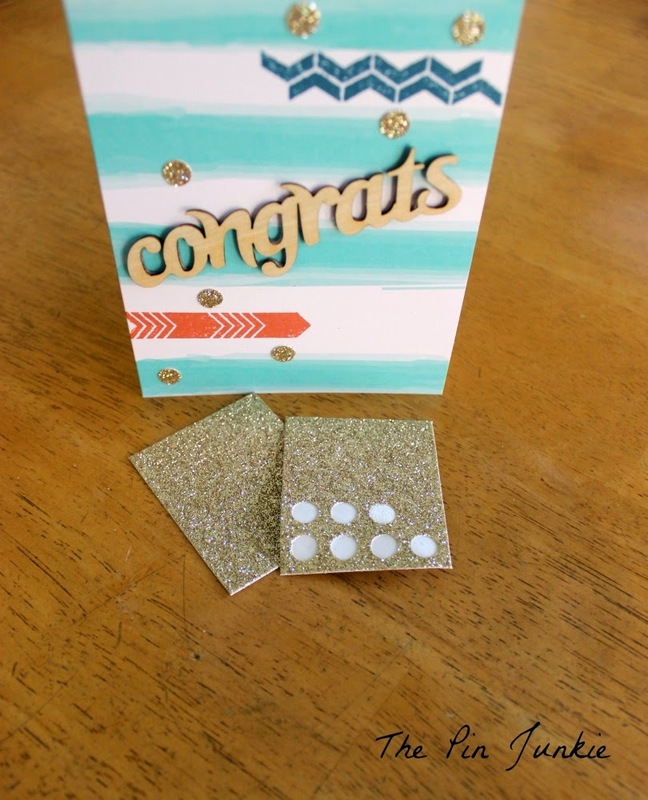 I can make a handmade card at the last minute, and still have something nice to give to someone on a special occasion! Would you like to try My Paper Pumpkin? Go to My Paper Pumpkin for more information. Enter here for a chance to win a free My Paper Pumpkin kit! The kit looks like it's very user -friendly. Thanks for the chance to win. It IS very user friendly and goof proof! I can't tell you how many cards I've made in the past and didn't like them when they were finished. I really liked this one though! Thanks for entering the giveaway! How cool is this! My granddaughter and I will have a blast with this .... if I win. I hope I win!!!! Love it! I love personal cards. I'm trying to figure out what to do with all the older cards that I have. I hate to toss them, but now I have boxes and boxes of them! Thanks for sharing with Countdown in Style. Fabulous card. Love the wooden letters. I love handmade cards but haven't had much time to make them lately. This one is super cute! Thanks for linking up with Hump Day Happenings. What a super cute card ~ love it! Such a cute kit! I love those wooden letters! What a smart idea! It's like one of those makeup subscription boxes. Thanks for sharing on Hump Day Happenings! I just read in my local paper that these types of subscription boxes are becoming really popular. I love personal, unique cards! This looks like fun! I use to buy quite a bit of Stampin Up because my niece sold (may still sell) it. They have great products! This is a fun and clever idea to have it all in a kit like that. thanks for sharing with SYC. 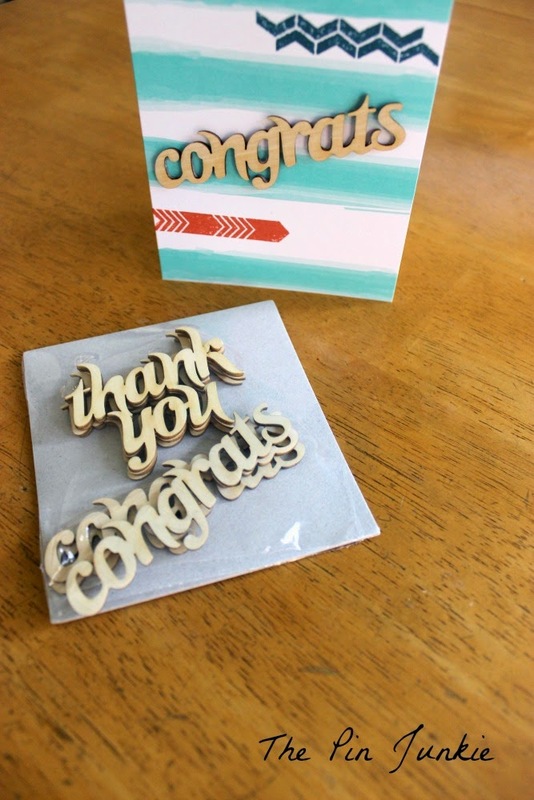 I used to buy Stampin' Up products too because my neighbor sold it. It can quickly turn into an expensive hobby! love this card, great work. 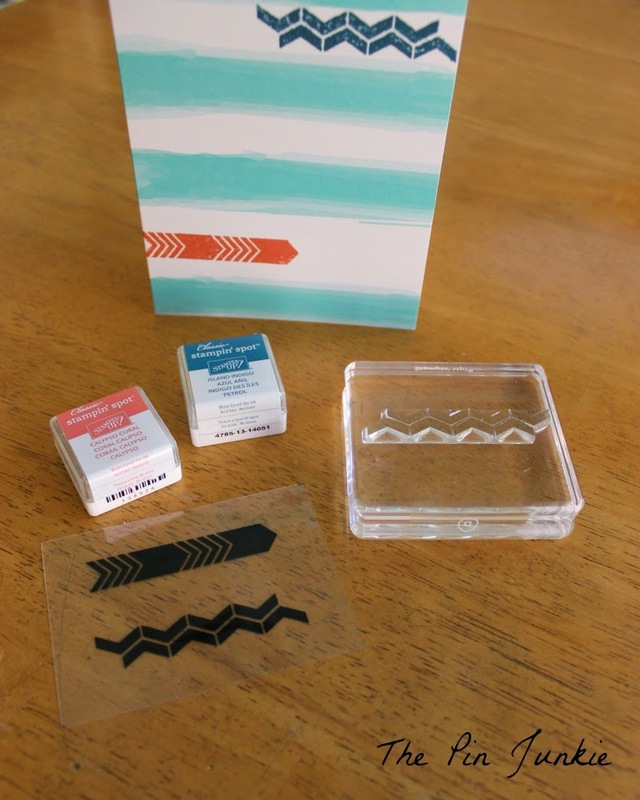 This is such a cute idea - love the clear stamps! I liked the clear stamps too! They make it so much easier to place the image exactly here you want it. I love handmade cards, this kit looks amazing! What a cool kit! Being able to keep everything in one box would be a big help to me...my craft supplies are less than organized at present! Hi! I have never heard of My Pumpkin. That is exactly what I need. I love making cards and giving something unique to friend and family. Thanks for sharing! I learned something new today! Stopping by from the Craft Frenzy Friday.